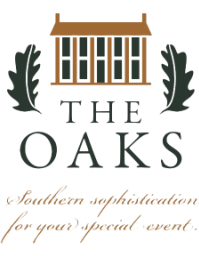 The Oaks is the perfect setting for a memorable wedding ceremony and reception. Built in 1835, this historic Alabama plantation home as been fully renovated to meet the modern needs for your special day. The property includes the historic home with an upstairs bridal suite, a carriage house with a groom's suite, a vintage inspired chapel, a conservatory for receptions, a barn and beautifully landscaped gardens. Our picture perfect landscape provides an amazing backdrop for any special event.